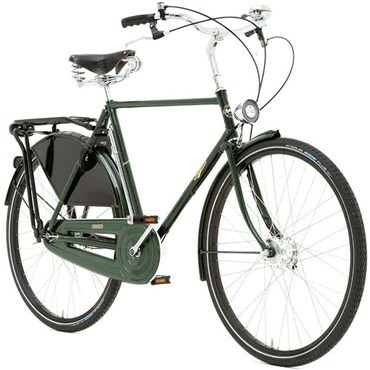 For stylish and comfortable riding through city streets, the Pashley Roaster Sovereign 5 Speed is the bike for you. The traditional design is timeless, giving a smooth ride and great upright riding position. Hand made using the same techniques for near 100 years, the steel frame is built for silky smooth riding. Mudguards, a rear rack and stand, lights and a bell give you the convenience to ride where you like, where what you like, while the 5 speed hub gearing keeps things simple. Traditional style mudguards: with beautiful hand-applied gold-line detail, they protect you from unsightly mud splashes, giving all-weather practicality.